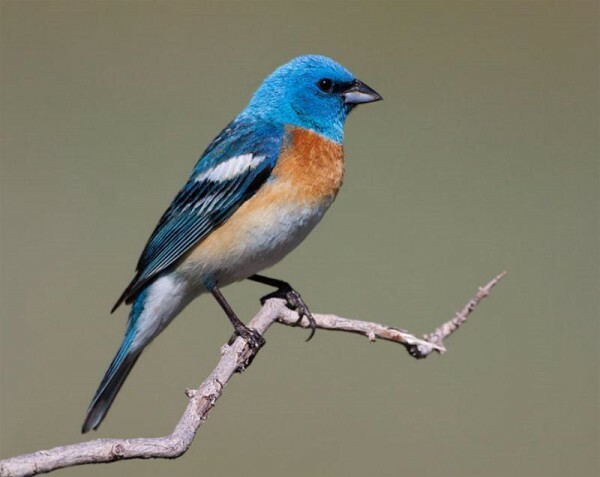 For a few weeks every spring we are visited by a small group of Lazuli Buntings. Every April I catch a glimpse of their shockingly blue heads as they try to blend in with the sparrows and house finches. They are easily spooked. I barely have time to grab the binoculars, much less ever have the opportunity to snap a picture of one. Not long after I announce, “The Lazulis are here,” they are gone. On their way from Mexico to wherever north of here they end up, a few of them generally spend their approximate two-week layover in our back yard. And right now that’s where they are. I count a female and two males this time–fewer than usual. But they are spectacular nonetheless. The Lazuli sighting reminds me that I have lots of seeding and planting to do before the predicted rains. So, I’m off to garden. Posted by Jaime Lee on Sunday, May 3, 2015, at 7:27 am. Filed under Garden, Storytelling. Follow any responses to this post with its comments RSS feed. You can post a comment or trackback from your blog.